WOW!!!!! 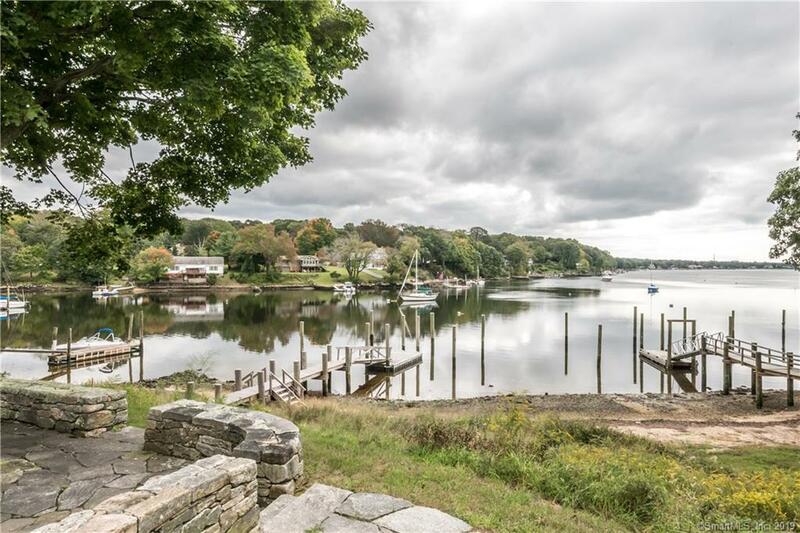 Breath taking waterfront retreat with captivating views, private dock and separate guest cottage, 2 additional moorings, & personal beach front! The recently refinished floating dock is complete with electricity & water; large enough to sustain a 40 ft yacht, the water is 5-6 ft deep at low tide. Conveniently located in Keeny Cove, considered a "hurricane hole", this property does not require flood insurance! This beautifully remodeled Cape that Albert Einstein once visited has been lovingly updated with thoughtful & ingenious modern finishes in keeping with the architectural integrity of the home. The front entrance boasts a handsome wood door which opens into a delightful portrait gallery. The thoroughly remodeled chef's kitchen features stunning soapstone counters, custom cabinets, dining island, gas stove & double wall ovens. French doors grace the dining room & a massive fireplace highlights the living room. The first floor "Summer Study" could be utilized as a master suite with a wheelchair accessible, full bath. The current master suite boasts a handsome fireplace, incredible views & completely remodeled full bathroom. The home features a high efficiency Viessmann Boiler & radiant floor heat throughout the first floor. A charming, heated efficiency apartment sits above the original Carriage House. An entertainers dream with an expansive yard, the home owners hosted a 150 guest wedding with room to spare & enchanting views! AGENTS SEE AGENT REMARKS, This artfully remodeled home now features individualized room sized wall panel radiators for second floor. The system self regulates based on an external temperature sensor. No need to adjust, simply set and forget. Due to the homes location in Keeny cove, there is no need for or requirement for flood insurance. Six potential bedrooms on this property; Four bedrooms are located on the upper level, the Summer Study could be utilized as a first level master suite and one additional bedroom is located in the 1 bedroom apartment above the Carriage House. This property is an entertainers dream! Directions: Exit I-84, Exit 55/Rt 2, Continue Onto Ct 11, Exit 4, Left Onto Ct 82 East, At Traffic Circle Take The 1st Exit To 85 S, Right On Ct 161 S, Left On Us 1 North, Right Onto Niantic River Rd, Right Onto Oswegatchie Rd, House On Left.